Below is a screenshot of the final prototype of the Music Factory game. The game can be found and played by clicking this Link! 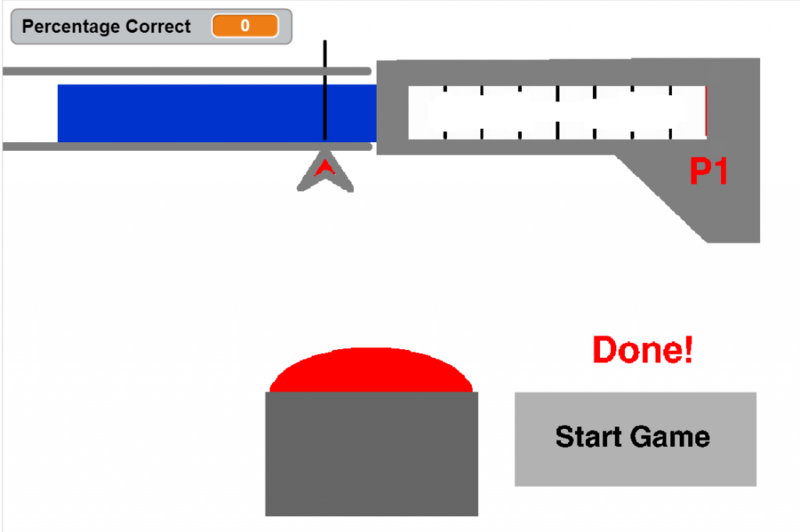 The game is played through the use of just one button – the space bar – and holding it down long enough to match the amount of time given by fractions, decimals, and percentages which scroll across the screen. 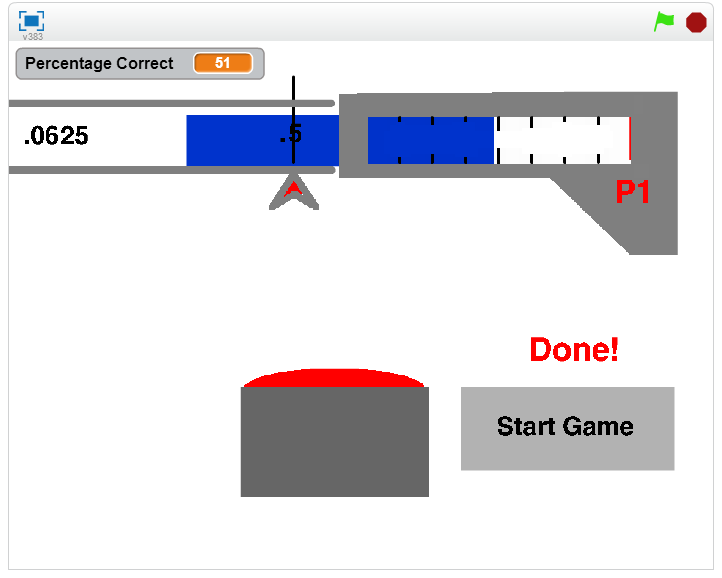 Doing this successfully brings up the “percentage correct”, and upon completion of the game, if the player accomplished a score of above 70%, they can press “Done!” and the game will play the music of the pattern they had played.